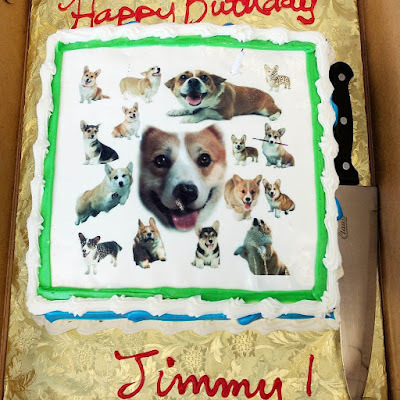 Willow Grace: Corgi cake for Jimmy from his team and managers at work. Corgi cake for Jimmy from his team and managers at work. Edible corgis, now that's a very unusual cake!